As I was pulling up to the exit side of the gate house, I noticed something in the road. People were driving around it or right over it, but either way, careful not to hit it. When I approached, I realized it was a snake. Two of my favorite security guys were out there, keeping their distance with another resident pointing and looking at the snake. But they didn’t seem to know what to do about it. Now my man calls me “Ellie Mae Irwin”, after two famous animal lovers. Ellie Mae Clampet of the Beverly Hillbillies fame and Steve Irwin. Both of who I can surely identify with. It’s common for me to want to save an animal stuck in the road and sitting in a dangerous place. I popped on the caution lights on my car, jumped out and asked if “he” was hurt. I have no idea if the little guy was male or female, so for my purposes, he was a guy snake. And specifically what I grew up calling a Black RatSnake and what Herpetologists call the Eastern Ratsnake. Well he wasn’t hurt thankfully, but he wasn’t going to stay that way if someone didn’t move him out-of-the-way. No one else seemed to be doing that, so I said we need a long stick. One good thing about living on a lake, there’s a whole lot of trees around here. It wasn’t hard finding a fallen stick that was long enough to safely get this little guy out of the road. Ok, I call him a little guy, but he was about 3 to 4 feet long. Definitely an adult. As some impatient folks didn’t want to wait and moved around my car to get out the gate, they quickly slowed down to see what was in the road. As they did, this little critter raised up and hissed at the three cars who went passed him at only a few short 4 feet away. Now I’ve seen Steve Irwin use a stick to pick up a snake many times to move it from a roadway or to pick it up and talk about the features and characteristics of the reptile. I truly loved that guy! Anyway, this little snake critter wasn’t keen on the idea of being picked up by a stick. But with a little prompting and kind communication, I was able to get underneath him and coax him over to the side of the road. Thankfully my security buddies stopped traffic so he had a clear path to reach safety. Once in the grass, he seemed quite happy to slither away from the road. Whew! And now that the excitement was over. Once this little rescue was complete, both the security guys said in unison “We should have gotten a picture”. Well blast it, yeah we should have! Ah well, maybe next time. I did get a good chuckle when one of them called me “the snake whisperer“. Being a Shaman I believe that when any animal crosses your path it is bringing a message for you to take note of. As soon as I returned home, I went straight to my favorite resource for Animal Sign, Ted Andrews. In his book “Animal-Wise“, Ted says this about Rat Snakes. Rat snakes are found around the world. They are adaptable, fast and active. Slender and agile they actively seek out prey and strike with accuracy when they find it. When the rat snake appears, there will be acceleration and movement in all of our affairs and activities. We can expect the movement to continue for sometime. All rat snakes are active hunters and constrictors. They attack quickly. Upon spotting prey, they raise up a bit and strike quickly, hard and true to their mark. When the rat snake appears, it is time for us to do so as well. Now is the time to accelerate our own movements. We should strike immediately while we can. Being powerful constrictors, rat snakes are reminders to hang on tightly once we strike. All snakes have highly developed senses. While they can see well, they don’t rely on their vision. They are attuned to the subtlest of vibrations that they pick up through their entire body and they smell through their tongue. They have a the roof of their mouth what is called a Jacobson’s organ. The tongue flicks out, captures air particles and brings it to the roof of the mouth. In this way they sense if there’s food or danger, etc. about them. When a snake is about, it’s best not to trust what you see initially. But rather take note of what you sense, through the subtle energy or aromas around you and what “feels” right to you. If we trust what feels right to us, then strike at whatever it is, we will be more successful and see quicker progress within our life. Most snakes are seasonal breeders. Rat snakes are able to breed by their 1st summer, although they don’t reach full maturity until their 2nd or 3rd year. The female rat snake is capable of storing sperm to delay fertilization for the optimum time that’s right for her. When the rat snake appears, they remind us that everything happens in its right time and space. We are likely to see some delays in our progress. But this is not the time to be impatient or premature in our endeavors. We should maintain control and wait for a more appropriate time to strike out. Undo force could disrupt our plans. In other words, don’t push against the tide. Go with the flow. Like most snakes, the rat snake eats its prey whole. It can unhinge its jaw and swallow a fairly large catch head first. This characteristic can tell us that we could be taking on too much at one time. We may have literally bitten off more than we can chew or swallow. This may mean we need to adjust our time frame or break down our goals into more manageable pieces. This isn’t the first time I’ve come across an Ratsnake. They were plentiful in the barn around the hay for the horses. This was actually a good thing as they kept the rodent population under control and out of the hay loft. Rodent droppings are bad news when that same bale of hay is for feeding to your beloved horse. But they would make their way into the tack room and find a warm spot on the horse blankets, or the sheet we used to cover the saddles and other tack. That wasn’t always a fun surprise, but once the initial shock or scare was over, we let them be and they usually found another place to hide. We encountered one in a tree in 2012 at a local Historical park, where I was able to snap a picture of the encounter. He was merely basking in the late afternoon sun, enjoying his day; until we came along. At least he had a nice escape route into the hole of the tree. Snakes are wonderful creatures and they live all around us. And while they can be beautiful to look at, I’d urge everyone to be very cautious about trying to capture or handle one. Learn the difference between venomous and non-venomous snakes so you know how to recognize the really dangerous snakes in your area. Remember all animals bite! Even if a snake isn’t venomous, it can still deliver a nasty bite that can become dangerous and make you ill. There’s no reason to overly fear snakes. They’re much more afraid of you than you are of them. So if you encounter one, give it some space and leave it be. 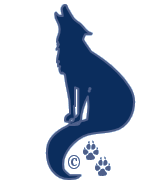 You can visit the A – Z Listing and find the other animal encounters I’ve had since we began blogging here on Springwolf Reflections. You’ll find them listed under “Animal Sign“.